Sister M Evangelist Duggan (Irish, aged 22 years) – the leader. 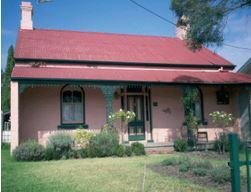 Upon arrival, the Sisters lived in a cottage in Lagoon Street which belonged to the Sheekey family. They lived there until 5th May, 1883 when the Convert was opened.